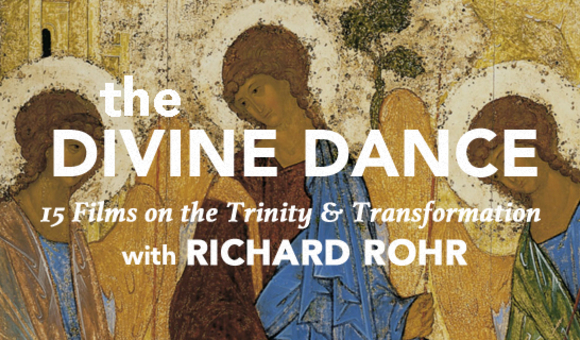 We spent time with Richard Rohr talking about the some of the ideas in his book Divine Dance: The Trinity and Your Transformation. What if changing our perception of God has the potential to change everything? God is not what you think. Visions of an angry, distant, moral scorekeeper or a supernatural Santa Claus handing out cosmic lottery tickets to those who attend the right church or say the right prayer dominate our culture. For many others, God has become irrelevant or simply unbelievable. In The Divine Dance, Richard Rohr (with Mike Morrell) points readers to an unlikely opening beyond this divinity impasse: the at–times forgotten, ancient mystery of the Trinity―God as utterly one, yet three. In The Divine Dance (and some of the TWOTP films below) Rohr presents a compelling alternative to aloof and fairytale versions of God: One God, belovedly in communion, as All–Vulnerable, All–Embracing, and All–Given to you and me. The series includes 15 sessions with a discussion guide, written by Kelly Ann Hall.